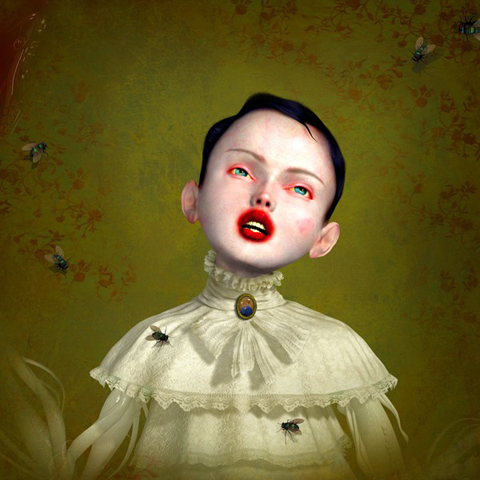 Ray Caesar, a digital artist, lives in Canada. “I was born in London, England on October 26 1958, the youngest of four and much to my parent’s surprise, I was born a dog. This unfortunate turn of events was soon accepted within my family and was never again mentioned in the presence of polite company. … I live in a brick house with my wonderful wife Jane and a coyote called Bonnie. I like eating avocados and I don’t really mind being a dog. (Quoted from Ray Caesar’s biography)”. Is he a dog? I don’t mind it at all. I love his art, especially his works that look like revealing to us about forbidden games that might have been hidden in the dark side of the Victorian Age. 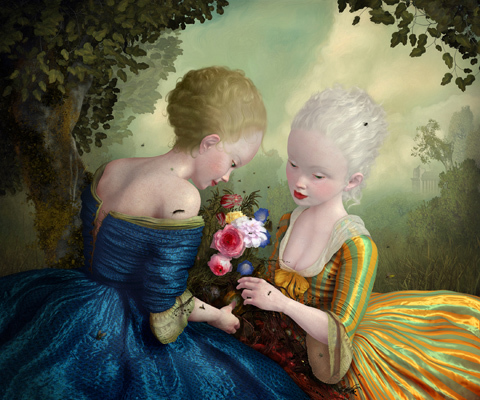 Copyright © Ray Caesar/Gallery House All Rights Reserved.